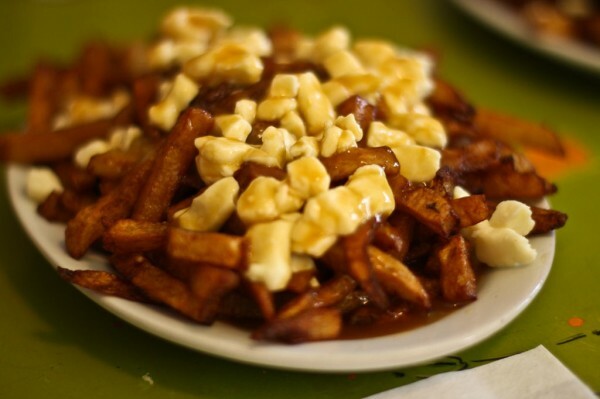 Poutine is a delicious mixture of cheese curds (though you can find it simply with shredded cheese, depending on your location), brown gravy, and French fries. Some people like to add a little ketchup, I personally like to add a little vinegar. In Canada most restaurants or pubs that serve French fries will have some version of this on the menu, and KFC gets in on the craze with their own incredibly tasty poutine. Don’t pass up the opportunity to try this Canadian classic. Maple syrup is something that every Canadian child will have on their waffles and pancakes growing up, and something that as an adult you may enjoy as a marinade on your wood-fired Pacific Salmon. We dip our bacon into it, we put it on snow cones, we turn it into fudge. Really there’s nothing Canadians don’t use Maple syrup for, so smother your pancakes in it whenever you have the opportunity. 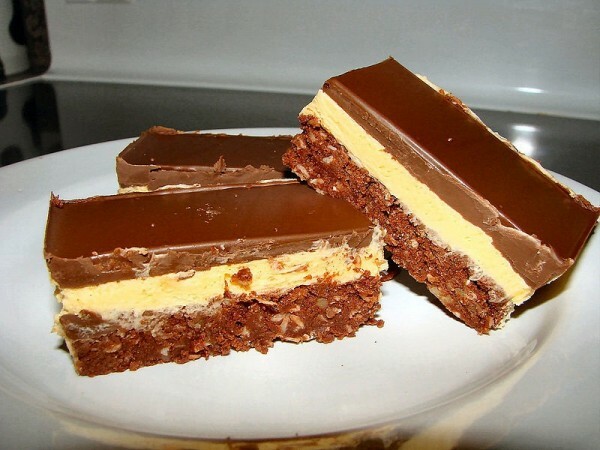 Originating in Nanaimo, British Columbia, these little squares are perfect for anyone with a sweet tooth. The first layer is similar to a chocolate brownie with coconut mixed in. The second layer… well if I was to tell you what it’s actually made of you probably wouldn’t eat it (it’s butter and sugar), and makes a creamy delicious middle to this chocolate sandwich. On top there’s a hardened layer of chocolate that sometimes has a pattern to it, depending on the baker. Delicious with a coffee (perhaps a Tim Horton’s double double? ), if you’re watching your waistline try to keep the squares small. Similar to a Turkish kabob, a ‘donair’ in most of Canada refers to the ‘Halifax’ style. This is actually so popular among people on the East Coast of Canada that you can buy the meat, and sauce pre-packaged and ready to heat at home. The meat is heavily spiced ground beef and is a bit peppery and salty. This ground beef is molded into a dense log and heated and sheared off for each serving. It’s served in a pita with onions, green peppers, cabbage and topped off with a sweet white ‘donair sauce’. Perfect after a night out on the way home from the bar, and many people like to use the donair sauce for pizza dipping; however you decide to enjoy it, it’s an interesting uniquely Canadian treat. 5. Atlantic (or Pacific) Salmon. Because I’m from the East Coast of Canada, I am naturally biased towards Atlantic Salmon. Of course, Pacific salmon on the West Coast is also delicious, I just prefer the taste of the Atlantic stuff. 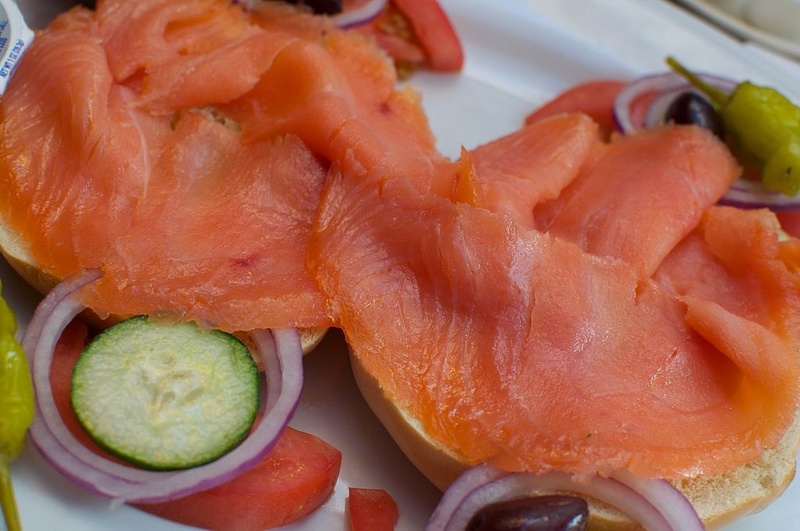 There’s no end to the use of salmon in Canada: mixed with mayonnaise in sandwiches, smoked and served with a cheese plate or onto of a bagel, mixed into a fish chowder, blended into a fish cake, bar-b-qed on a cedar plank, marinated in maple syrup and roasted with root vegetables. Really any way you could want to try it, you’ll be able to find and enjoy it in Canada. Want to learn even more about Canadian food and culture while studying a language? Why not contact us to see what French and English courses are available for you! You are currently browsing the Language Museum weblog archives for July, 2014.